Know the wind is yours. Today I stop taking the easy way out by being miserable; I’ll do the work to find happiness! Interesting facts you may want to know, or not…. The full moon brings enlightenment. The face of the truth is exposed – the truth whose light bursts forth fully now through the darkness. This is the time to look inward, to survey your actions, feelings, and emotions of the preceding days, and discover the irrelevant subjects or criticisms you allowed to distract you and divert you from your main aim. Focus and muster your full strength. Speak to the big moon and bring the realization of your wishes down to earth with the help of its light. Winter nights begin with great views of the brightest star and two fine star clusters, and wrap up with the brilliant planets Venus and Jupiter. The solar system’s two outer planets both have close encounters with stars this evening. Look for Uranus some 60° above the southern horizon around 7:30 p.m. local time. The magnitude 5.7 world lies in southeastern Pisces, 1.3° north of 4th-magnitude Omicron (ο) Piscium. Although Uranus shines brightly enough to glimpse with the naked eye under a dark sky, use binoculars to locate it initially. A telescope reveals the planet’s 3.6″-diameter disk and striking blue-green color as well as a neighboring point of light that looks a bit like a moon. But this is actually a 9th-magnitude field star that slides 1′ south of Uranus this evening. Once you’ve finished viewing Uranus, turn your scope toward Neptune. The magnitude 7.9 world lies 2.2° east of 4th-magnitude Lambda (λ) Aquarii, an area that appears 30° high in the southwest at 7 p.m. local time. This evening, Neptune lies 15′ (half the Full Moon’s diameter) due south of 6th-magnitude 81 Aqr. Higher magnifications reveal Neptune’s blue-gray disk, which spans 2.3″. The Moon reaches perigee, the closest point in its orbit around Earth, at 4:49 a.m. EST. It then lies 224,353 miles (361,062 kilometers) away from us. If you’re looking for a Christmas star to mark the holiday, you can’t go wrong with brilliant Sirius. The brightest star in the sky (after the Sun, of course) gleams at magnitude –1.5. This makes it nearly four times brighter than the next brightest star visible from mid-northern latitudes: Arcturus in the constellation Boötes. Sirius currently rises before 8 p.m. local time and ascends in the southeast throughout the evening hours. The variable star Algol in Perseus reaches minimum brightness around 8:26 p.m. EST, when it shines at magnitude 3.4. If you start watching it after darkness falls, you can see it more than triple in brightness, to magnitude 2.1, over the course of about five hours. This eclipsing binary star runs through a cycle from minimum to maximum and back every 2.87 days. Algol appears in the eastern sky after sunset and passes nearly overhead around 9 p.m. local time. Although Jupiter passed behind the Sun from our perspective just one month ago, it has already grown to prominence in the predawn sky. The giant planet rises nearly two hours before our star and climbs 10° high in the southeast 45 minutes before sunup. Gleaming at magnitude –1.8, it stands out nicely in the gathering dawn. A telescope shows Jupiter’s 32″-diameter disk, but you likely won’t see much detail because the light has to travel through thick layers of turbulent air near the horizon. Two of the finest deep-sky objects shine prominently on evenings in late December. The Pleiades and Hyades star clusters climb highest in the south during midevening but remain conspicuous nearly all night. The Pleiades, also known at the Seven Sisters and M45, appears like a small dipper to naked eyes. The larger Hyades forms the V-shaped head of Taurus the Bull. Although both look nice with naked eyes, binoculars show them best. Mars continues to put on a nice show these December evenings. Look for the Red Planet halfway to the zenith in the southern sky as darkness falls. The world shines at magnitude 0.4 against the much dimmer stars of Aquarius the Water-bearer. A telescope reveals a disk that spans 8″ and should show a few subtle surface features during moments of good seeing. Last Quarter Moon occurs at 4:34 a.m. EST. You will see it poking above the eastern horizon around midnight local time and climbing highest in the south as twilight starts to paint the sky. The half-lit Moon spends the morning hours in the constellation Virgo the Maiden. Venus appears brilliant from the time it rises a little after 3:30 a.m. local time until close to sunrise more than three hours later. It stands about 25° above the southeastern horizon an hour before the Sun comes up. Gleaming at magnitude –4.6, the planet shines far brighter than all the other objects in the predawn sky except for the waning crescent Moon. When viewed through a telescope, Venus spans 27″ and appears nearly halflit. The smallest and largest of the Sun’s major planets will stage a relatively rare encounter this month as they pass each other in the dawn twilight. Jupiter should be easy to see, but Mercury could take some work. The great Winter Circle climbs higher each night, and is in good view by 8 p.m. by month’s end. It consists of seven bright stars encircling orange Betelgeuse, the shoulder of Orion. Orion, the hunter, stands well up in the east and southeast by about 8 p.m. Its most prominent feature is a row of three stars known as Orion’s Belt. Early Christians associated those stars with the Three Magi, the wise men who brought gifts to baby Jesus. The star cluster Messier 34 sits on the border between the constellations Perseus and Andromeda. It is high overhead during the evening, between two bright stars. Under a clear, dark sky, M34 is just visible to the unaided eye as a fuzzy patch of light. The gibbous Moon climbs into good view late this evening. The bright star Regulus, the heart of Leo, the lion, follows it across the sky. Sirius is the leading light of Canis Major, the big dog, so it is known as the Dog Star. It is the brightest star in the night sky. Sirius is much brighter than the Sun, and it’s also a close neighbor at a distance of less than nine light-years. Phoenix, the mythical bird that represents rebirth, stands just above the southeastern horizon at sunset and drops from view by midnight for skywatchers in the southern United States. The constellation’s brightest star, Ankaa, is at its northern tip. The star Spica poses near the Moon at first light tomorrow. They climb into good view by 2 or 3 a.m., with Spica to the lower right of the Moon. Spica is the brightest star of the constellation Virgo and one of the 20 brightest stars in the entire night sky. December 24 – January 20: The Birch Moon is a time of rebirth and regeneration. As the Solstice passes, it is time to look towards the light once more. When a forested area burns, Birch is the first tree to grow back. The Celtic name for this month is Beth, pronounced beh. Workings done in this month add momentum and a bit of extra “oomph” to new endeavors. The Birch is also associated with magic done for creativity and fertility, as well as healing and protection. Tie a red ribbon around the trunk of a Birch tree to ward off negative energy. Hang Birch twigs over a cradle to protect a newborn from psychic harm. Use Birch bark as magical parchment to keep writings safe. Latin name: Yellow birch – betula alleghaniensis; black birch – betula lenta; canoe or common birch – betula papyrifea. Parts Used: Leaves, bark, wood, sap, branches. Herbal usage: Birch leaves can be used to make an infusion that is good for breaking up kidney or bladder stones. Birch bark is an astringent and can be used to treat non-hereditary baldness. Birch tea can be made from the inner bark and leaves and this is good for rheumatism or as a sedative to aid sleep. Birch sap can be harvested the same way maple sap is, and then boiled down into birch syrup. The bird associated with the Month of the Birch is the pheasant. Birch’s color is white, its day is Sunday and its gemstone is red chard. The Celtic symbol of Birch is the White Stag with a rack with seven tines. Birch is associated with the element of water, is a tree of the sun and the planet Venus, and its Herbal Gender is feminine. The Birch tree is sacred to the God Thor and the Goddesses Diana and Cerridwen. Birch is considered to be a Goddess tree, the symbol of summer ever-returning. The Birch is also a special tree to the Celts (“On a switch of birch was written the first Ogham inscription in Ireland, namely seven B’s, as a warning to Lug son of Ethliu, to wit, ‘Thy wife will be seven times carried away from you into fairyland or elsewhere, unless birch be her overseer.” – Robert Graves (The White Goddess). Birch wood is one of the nine traditional firewoods to be added to the Belfire that is burned at Beltane. It is one of the three pillars of Wisdom (Oak, Yew, Birch) and often symbolizes the first level of Druid working. Birch trees often have Otherkin spirits attached to them and the “Lieschi” or “Genii of the Forest” are said to dwell in their tree tops. The Ghillie Dhu (pronounced “Gillee Doo or Yoo”) are guardian tree spirits who are disguised as foliage and dislike human beings. They prefer birch trees to all others, and jealously guard them from humans. If the spirit of the Birch tree touches a head it leaves a white mark and the person turns insane. If it touches a heart, the person will die. The month of Birch is a good time to do magick associated with new beginnings. Magickal work done in this moon adds strength and momentum to any new choices made. The Birch has applications in magick done for protection, creativity, exorcism, fertility, birth, healing, Forest Magic, Inner Authority/Self-Discipline, Lunar workings, love, and purification. Magickal protective uses of Birch include tying a red ribbon around the trunk of a birch to ward off the evil eye. Also, gently whapping someone with a Birch twig drives out negative energy, and Birch branches hung near a cradle will protect the newborn from psychic harm. In fact, cradles can be made from Birch wood to further protect a newborn. Many farmers plant Birch around their houses to protect against lightning. For magical parchment, gather Birch bark from a tree that has been struck by lightning (chosen by Thor) – and the Birch paper will keep the writings safe. Because Birch wood has the qualities of exorcism and protection, its twigs are traditionally used to make witches’ brooms. 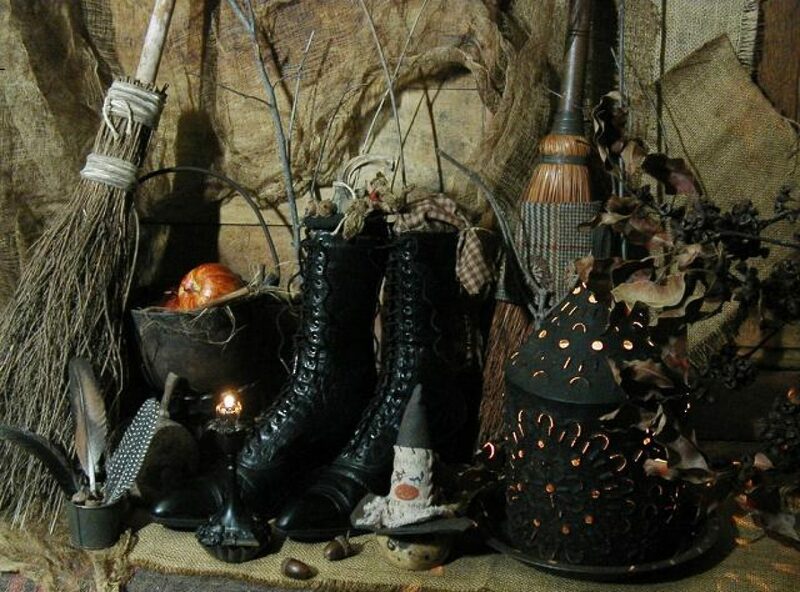 Brooms made of a mixture of Ash, Birch and Willow are said to be especially powerful in magick. The birch is the tree of inception, representing birth, initiation, discipline and sacrifice. The time is ruled by the force of wild, un-tamed nature, and is reflected in the unconscious (inner) self and the rebirth of the Sun from winter’s solstice. This is the first tree that takes away the decay of the mysterious elder. Both the Birch and the Elder stand on either sides of The One Nameless Day. They both represent a link between life and death, with the Birch being the beginning of all things. It is also associated with the training of Druids, the birth of new life and is both energetic and spontaneous.Children’s cradles were made of Birch. Axe handles were also made from Birch. On the Isle of Man, off the west coast of Scotland, criminals were ‘birched’ to purify them and to drive out evil influences. The silver birch (Betula pendula Roth) is the most common tree birch in much of Europe. It grows up to 30 m (100 feet) high, but is more often found in spreading clumps on sandy soils. It is one of the first trees to colonize an area after a mature forest is cut; this is probably a large part of its symbolic connection with new beginnings. It is cultivated in North America, often under the name of weeping birch. Its symbols are the horned animals, especially goats and stags. Connected to pentagrams and mountains. The Magician tarot card. Symbolized by Cernunnos – the horned one, said to be the Soul of Lugh, and the Dagda – Celtic Earth god. Archetypically related to other horned gods such as Pan, the Hircocervus (sacred Goat-Stag), the Egyptian horned god Asar (Osiris), and Shiva who is lord of the animals. Birch trees have been long associated with fertility and healing magic, and the twigs were used to bestow fertility on cattle and newlyweds. Birch is most useful for fertility and healing spells. The birch has a multitude of uses: it yields a sap similar to maple syrup; its bark can be used as flour and also make birch beer; and birch tea is said to ease rheumatism and gout. The inner bark provides a pain reliever while the leaves can be used to treat arthritis. In Egypt, the day of the Burning of the Lamps at Sais, for Isis and Neith/Nut/Mut. (Star Girl, Vega, Sothis, Sirius, Arianrhod, Anatha, Athena, Io, Ishtar, Sarasvati, Sophia, Minerva.) In Puerto Rico and Spanish America, San Juan Day, from Inti Raymi, the Feast of the Sun, dedicated to Quetzalcoatl (Christ, St. John, Apollo, Pan, Dionysus, Bacchus, Adonis, Attis, Heme, Izanagi, the Sun Father, Tammuz, Damuzi, Osiris, Ra, Lugh, Damballah, Yoko-Hoo). On Monday, December 24, We Honor…. To Do Today: The night before Christmas was Mother Night, when the goddess prepares once more to give birth to Eguski and growing daylight. It is traditionally a time to enjoy the goddess’s energy for personal renewal and to show appreciation to mothers everywhere with their life-giving power. Take a moment out of your day to call your mom and say thanks—thanks for giving you life, for nurturing you, for passing on family traditions, for the important lessons she taught. Also take a moment to thank Eguski for her blessings in some way that suits your vision and path. Pray, chant, sing, meditate, light a candle. Ask her for another year filled with goddess magic and miracles! To encourage Eguski’s renewal and warmth every day, rise early this morning and wait for sunrise. As the first beams of light caress the horizon, open your arms and hug the goddess. Feel the energy and power in those rays to transform and overcome anything you may face. Gather the goddess into your heart for now and always. To incorporate this day’s energy work spells for intuition, peace, fertility, and inspiring your inner muse. This is a wonderful day to connect to your inner self. Intuition and inspiration are both enhanced when imbued with moon energy. 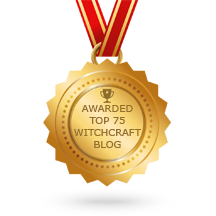 Use today’s energy for psychic work, (intuition, divination and clairvoyance), Goddess rituals and faerie magick. This is the perfect spell that harnesses the power of the full moon while lending beauty (and a little magick) to your home! Intuition Note: If you have need for one blessing over another, say you’re in a financial struggle and desire abundance, assign that blessing to a larger twig. Otherwise, randomly draw the twigs from a pile and let your Blessing Chain find its own balance. ★After attaching your stone, hold your chain before you and simply say: So Mote It Be! Today I push the door to abundance and success open; I choose to walk through it! Think about how you want to spend your lifetime and then, as you can, spend your days accordingly. Many writers on time management advise using the morning for things that are important (meaningful) but not urgent (demanding of your attention right then). President Dwight D. Eisenhower was the first person to point out that “urgent” and “important” are not the same and that urgent things can take up all of your time, if you let them. Your schedule may not allow you to use the mornings this way or your chronotype may not favor the early hours. But if you can set aside any time daily to do things that are important but not urgent, you will be fighting against “the tyranny of the urgent,” which otherwise can consume all waking hours. Now, when you hear the question “Where does the time go?,” you have a few answers. The Moon is traveling through Leo today. Shine and be proud! You rule right now! The Moon in Leo speaks to our “inner child”. It’s a warm, generous, whole-heartedly loving position. Pride keeps us from pettiness, but it can also prevent us from opening up and revealing how we are truly feeling. We are on stage, our feelings are grand, and we appreciate some drama in our lives. We are easily threatened by anything that seems to be impersonal. This is a time when we seek attention–when we want to stand out for our special qualities. It’s a strong time for romance and any creative activity as well. In India Teej, the day of praise to the Goddess Parvati, a festival for women and girls. Parvati is Maya, Durga, Shakti, Ishtar, Astarte, Venus, Ashtoreth, Anahit, Tonantzin, Chalchiuhtlique, Kwan Yin, Changing Woman, Kali, Kali-Ma, Cerridwen, Oddudua, and Mawu. About Hertha: In ancient times, on this day people venerated Hertha, the Teutonic goddess of fertility, domesticated animals, magic, and nature. In Germanic tradition, Hertha descended through the smoke of any fire today and brought gifts, much like an early Santa Claus figure (giving her solar associations, too). Her connection to nature has survived in the name for our planet: earth. To Do Today: Yule takes its designation from a Gaelic word meaning “wheel” representing the turning of time’s wheel back toward the sun. In early times, this festival included parties for various sun gods and goddesses; it eventually was translated into the celebration of Christ’s birth. Any light source or burning incense can symbolize Hertha’s presence today. Besides this, look to the world’s traditions for magical ways of making your celebration special. For example, Swedes eat a rice pudding with one lucky almond; whoever gets the nut receives good fortune. Russians toss grain into people’s homes for providence as they carol. Armenians make a wish on the Yule log when it’s ignited and sometimes make divinations by the cinder patterns made afterward. Bohemians cut apples in half. If there’s a perfect star in the center and it has plump seeds, it portends joy and good health. Finally, kiss someone under the mistletoe for a long, happy relationship. Article originally published on ThoughtCo. Valerian Root, mentioned previously for insomnia, is also a wonderful tension reliever. You can drink down a glass of Valerian Tea before bedtime, or during extremely stressful situations for relaxation. To do this, boil approximately 1 cup of water, and remove from the heat. Then add about two teaspoons of dried Valerian Root into the water. Cover the pot, and let sit for about 15 minutes. Strain the tea, and discard the used herbs. Sweeten your tea with honey or sugar to your preference. Again, please note, if you have cats or dogs, please use caution when preparing and drinking this tea, as they both are strongly drawn to the smell of Valerian. You should not let your pets digest this tea. This tea should not be given to babies, toddlers, or children, and should also be avoided by pregnant or nursing women. Valerian Root can also be purchased in pill or capsule form at health or department stores, if you find the taste of the tea intolerable, as it is certainly not pleasant tasting. Valerian was originally the key ingredient used in making Valium, so you can imagine the benefits of Valerian Tea. Which Modern Christmas Traditions Have Their Origins in Pagan Festivals? Do you celebrate Pagan Christmas traditions? Your first instinct would probably be to say “No!”, but I think you might be surprised. Christmas is a time of year that is steeped in traditions, from the actual day itself to the tree we decorate and the presents we place under it. Even those people who are not overly religious know that Christmas is a Christian festival, so you would think that it would follow that all the modern Christmas traditions developed as part of early Christian celebrations? There are lots of Pagan customs in Christianity because early Christians adapted their Pagan customs to fit their new Christian beliefs, hiding their original meanings and giving them new ones. We can thank the Romans and Celts for most of our modern day Christmas traditions. The festival of Saturnalia, an ancient pagan holiday which honoured the Roman God Saturn, took place every year between the 17th and 24th December. This was basically a week of eating, drinking and giving presents during the Northern Hemisphere’s winter solstice. Likewise, the Celts celebrated the fact that the winter solstice had arrived and rejoiced at the fact that the nights were once more getting lighter and spring was only just around the corner. The early Christian church tried very hard to ban Pagan customs and encourage its converts to follow Christ, but the people were not to be convinced. Winter was a dark and depressing time, and they were keen to keep their winter solstice festivities. Eventually the church realised that they were not going to able to ban all festivities, so they provided their followers with an alternative option, a festival which honoured the birth of Jesus Christ and eventually gave us the Pagan Christmas traditions that we celebrate today. In Roman mythology, holly was the sacred plant of the god Saturn, and to honor him at the Saturnalia festival, the Romans gave each other gifts of holly wreaths. When Christians began to celebrate the birth of Jesus, they risked being persecuted for their new religion, and to avoid detection, they would place holly wreaths in their houses. As far as passers by were concerned they were celebrating Saturnalia, not Christmas. Gradually, Christian popularity increased, their customs became commonplace, and holly lost its links to Paganism and became a traditional symbol of Christmas. Over the centuries, holly has become a symbol for peace and joy, and people often settled disputes under a holly tree. In Germany, a sprig of holly that was used in church decorations is believed to protect homes from lightning, and in England farmers decorated their beehives with holly because they believed that at the first Christmas bees hummed in honor of the baby Jesus. These beliefs all contributed towards “decking the halls with boughs of holly” being popular at Christmas. Mistletoe was revered as a sacred plant by the Celts, the Norse, and the North American Native Americans. Druids believed that mistletoe could protect against thunder and lightning. Priests would use a golden sickle to cut a piece of mistletoe from an oak tree, catching the branches before they reached the ground. The mistletoe would then be cut into small pieces and distributed amongst the people. Mistletoe was also a recognized as a druidic symbol of joy and peace. If enemies met each other underneath the woodland mistletoe, they were obliged to put down their weapons and form a truce until the following day. This is where the custom of hanging sprig ball of mistletoe from the ceiling and kissing under it originates from. In Roman times, ivy was the symbol of Bacchus, who was the the god of wine and revelry. He wore it in his crown, and Pagans believed ivy to be a symbol of eternal life. Because of the pagan connotations surrounding ivy, early Christians did not use ivy to decorate the inside of their churches, preferring to use it as an outdoor decoration. It also plays an important part in a traditional English Christmas, but is not so popular in the U.S. The popularity of the Christmas hymn “The Holly and the Ivy” has helped ivy to become synonymous with Christmas time. Laurel or bay leaves were popular with the pagan Romans because the leaves were sacred to Apollo, the sun god. The ancient Romans used decorative wreaths, made from laurel wreaths as a sign of victory, and it is believed that this is where the seasonal hanging of wreaths on doors came from. In northern Europe, laurel leaves were not commonplace, and instead evergreen branches were gathered and used to decorate houses at Christmas, either as swags or shaped into wreaths. Probably the most common evergreen used today is the Christmas tree, whose origins are more Victorian than Pagan, but wreaths and swags still play an important part of our decorating, even though they are nowadays often made from artificial materials. Despite the fact that our modern day image of Father Christmas has largely been shaped by a 1930s Coca-Cola advertising campaign, he most definitely has Pagan roots. Children all over the world are told that Father Christmas developed from St. Nicholas, but those people that follow Paganism know there is more to the story than that. There was a Pagan god named Odin, often depicted as a chubby old man with a white beard who wore a long flowing cloak. It is therefore a combination of these two characters, and a liberal sprinkling of Coca Cola advertising that has resulted in who we now call Father Christmas or Santa Claus. Wassailing is an ancient custom that is not seen very often today. The wassail drink was originally made from mulled ale, curdled cream, roasted apples, eggs, spices, and sugar, and was served from large silver bowls, maybe holding as much as ten gallons. A modern day alternative to this would be mulled wine, red wine, and spices that is served hot. The yule log is a reminder of the times when European pagans would have bonfires at the time of the winter solstice, thereby symbolising the return of the sun with the days starting to get longer again. The Yule log played a major role in the Yule festivities, with a piece of the previous year’s log being saved to start the fire the following year. Traditionally, it was considered unlucky to buy a log and instead it was harvested from the householder’s land, or received as a gift. Once brought into the house and placed ceremoniously in the fireplace it was decorated with greenery, smothered with alcohol, and dusted with flour before being set on fire. The log would then burn all night, before smouldering for twelve days. Celtic mythology told the stories of the Oak King and Holly King, with the Oak representing the time from the Winter Solstice to Summer Solstice, and the Holly representing the time from the Summer Solstice to Winter Solstice. Today, yule logs are often represented by a chocolate covered swiss roll cake, sprinkled with icing sugar to represent the flour that was dusted onto the log before burning, and decorated with small plastic sprigs of holly. This time around the Winter Solstice was celebrated all over Europe, and as nobody was really sure when Jesus was actually born, early Christians altered their existing Pagan festivities to celebrate the birth of Jesus Christ. In December the sun appears to rise at the same point on the horizon for the three consecutive days beginning on the 22nd and then miraculously on the 25th it appears to move. Our ancient ancestors watched this and celebrated the fact that the days were now beginnig to get longer and the dark nights shorter. It is hard for us to understand how important sunlight was to our ancestors, and how it affected their quality of life. Typically people would live and work during daylight hours, so the long and dark winter months must have seemed never ending. Also, they would have been relying on their store of grains and crops from the previous summer to tide them over until the following year and would be eager to plant new crops and receive some fresh food to eat. Throughout history, candles have been used to ward off darkness and evil. The first use of candles in December was during the Roman Saturnalia festival, where tall tapers of wax were offered to Saturn as a symbol of his light and also given as a gift to guests. The Pagans also used candles during their Yule festivities, with candlelight and bonfires being used to welcome the nights beginning to get lighter. As Christianity became more widespread, candles were put in the front windows of houses in order to guide Jesus as he went from house to house on Christmas Eve. “Winter is the perfect time for reflection, transition, and release. This card is asking you to take a moment to retreat inside to discover a truth about the matter at hand and discover what steps you need to take. Do not move into action at this time. It is time to draw your energies inward for introspection and reflection. Keep any plans or projects you are thinking about on the shelf. Winter heralds the dying off of that which does not serve you. The leaves of a tree are shed in order to make room for spring’s buds. You, too, need this time to rest and release the old. With this release, you allow the new to bloom when the timing is right. For those days when you just need a little peace and quiet. To be left alone, I have decreed.